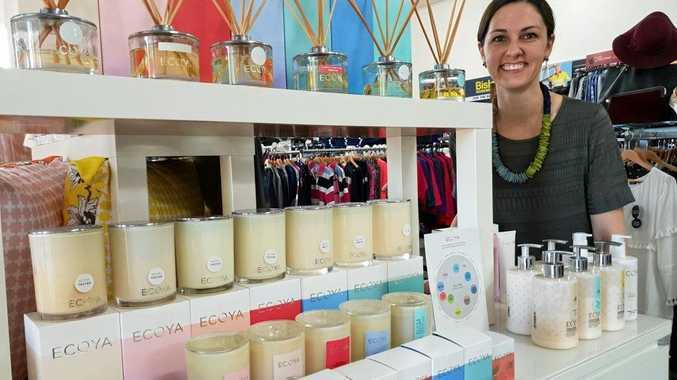 KARENA Wilson struck while the iron was hot and launched her website for online businesses The Linen Cupboard just over two weeks ago. 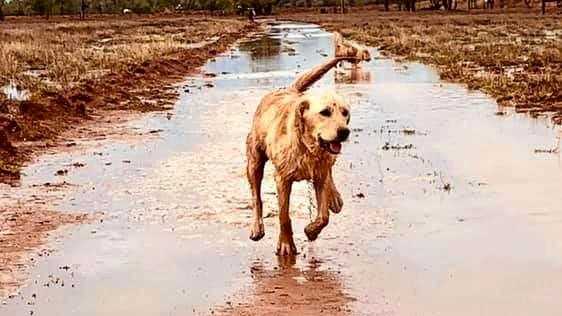 When news broke that the Today Show crew would be broadcasting live from Dirranbandi to raise awareness of the drought, Karena decided there was no better time to go online. "The Today Show was coming on the Monday so, on the Sunday, I thought there's no better day to do it so I launched the website at 10pm that night. "Within an hour of the show airing, I had over 20 orders online from people all over Australia and in two weeks I have done almost 100 online orders,” she said. Karen opened The Linen Cupboard in Dirranbandi in 2011, after she and her husband moved to the small town in 2010 from Brisbane. After a year-long stint working at the local doctor surgery, Karena had an urge to open up a retail store in the heart of the drought-stricken town. "I'll never forget the first time I drove down the main street, it was a quiet Sunday and there was no-one to be seen, a harsh comparison to the hustle and bustle of the Queen St Mall,” Karena said. "I was thinking maybe one day a retail shop of some kind would make it out here. I decided to open a store fortnightly in the lead-up to Christmas and see what would happen. "It continued really well and here I am now, nearly seven years later, thanks to the local support,” she said. With Queensland now in its sixth year of severe drought, Karena said it had been a "roller coaster ride”. "My customer base is so loyal and very supportive and, when it is dry here, it is felt by everyone. "However, I think with all the coverage in the media of late there is more awareness of who they are buying from and where their money is going to. "I get a lot of comments from buyers who say they are so glad they can get something from me and know the money is going back into the town,” Karena said. 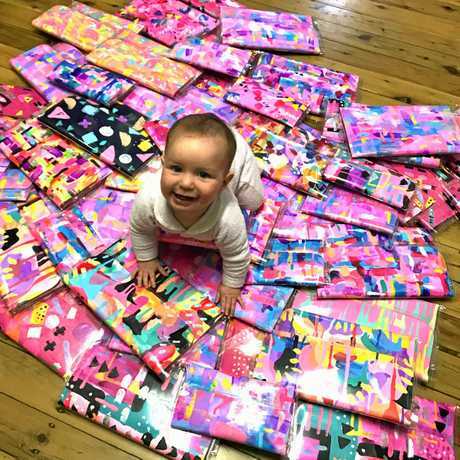 After tragedy struck in 2016, Bridget Jarvis, her husband and six-month-old daughter Poppy made the move from Toowoomba to Charleville to support Bridget's sister Kylie Burrell and her family after her husband passed away. Two and a half years on and a passion for all things creative, Bridget and Kylie found a spark of colour in a time that felt so dark and launched Poppy Lane Designs in March 2017. "I had an interior design background and had always done something creative when growing up,” Bridget said. Bridget and Kylie transformed the idea into a family business that supplies around 40 stores Australia wide and one in Italy. "I honestly have Instagram to thank for how quickly the business blew up,” Bridget said. Style guru and blogger Nikki Parkinson is using the super power of her blog Styling You community to support women in need. After watching the Today Show live in Dirranbandi, Nikki had a light-bulb moment and reached out to drought-affected areas that had online businesses. Thus, the shop it forward campaign was then born and a list was collated. "I needed to find a good list of online businesses in drought-affected areas, so I put it out on my Instagram story and said tell me all the businesses,” Nikki said. "People were then asking to have it one place so I put together a list and am still adding to it all the time. After going viral, Nikki's blog post has created an avenue for city people to shop online and help boost the communities where the businesses were based, including local stores The Linen Cupboard and Poppy Lane Designs. Nikki said a lot of her followers are shoppers so it has been a snowball effect of people wanting to support regional and rural businesses. "In drought affected areas there isn't a lot of extra cash and that is a danger for these businesses. "People in the city want a tangible way they can make direct support,” Nikki said.